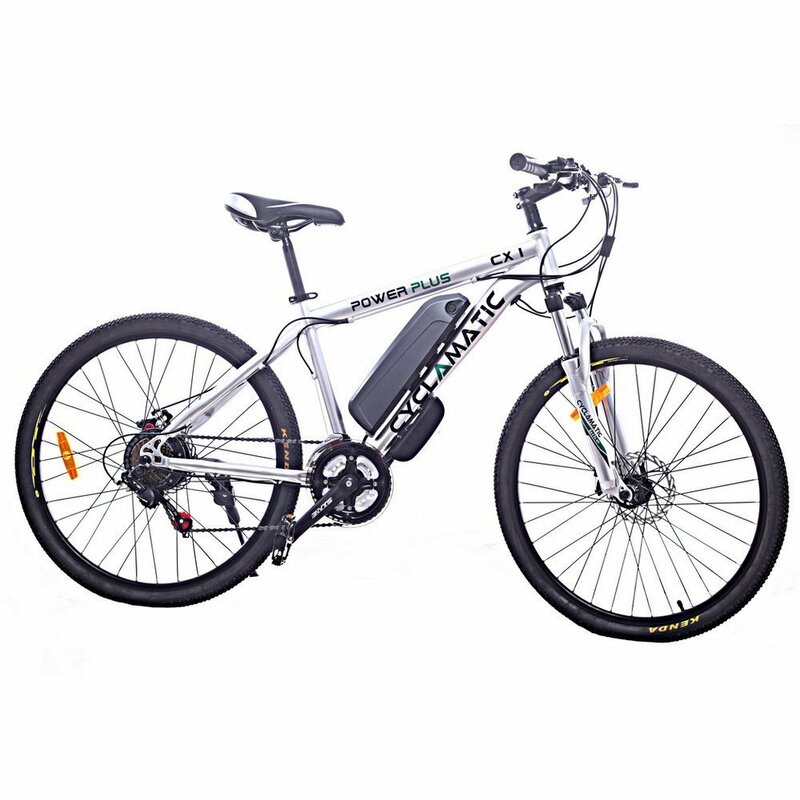 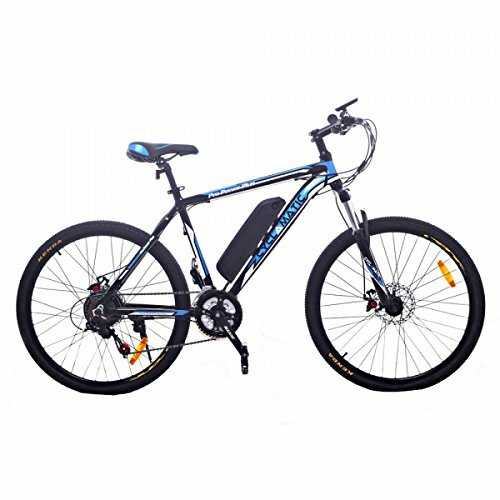 -The bike can be propelled fully electrically up to 30 miles with a top speed of 15mph, or increase this by using the bike in one of its 5 power assist modes. 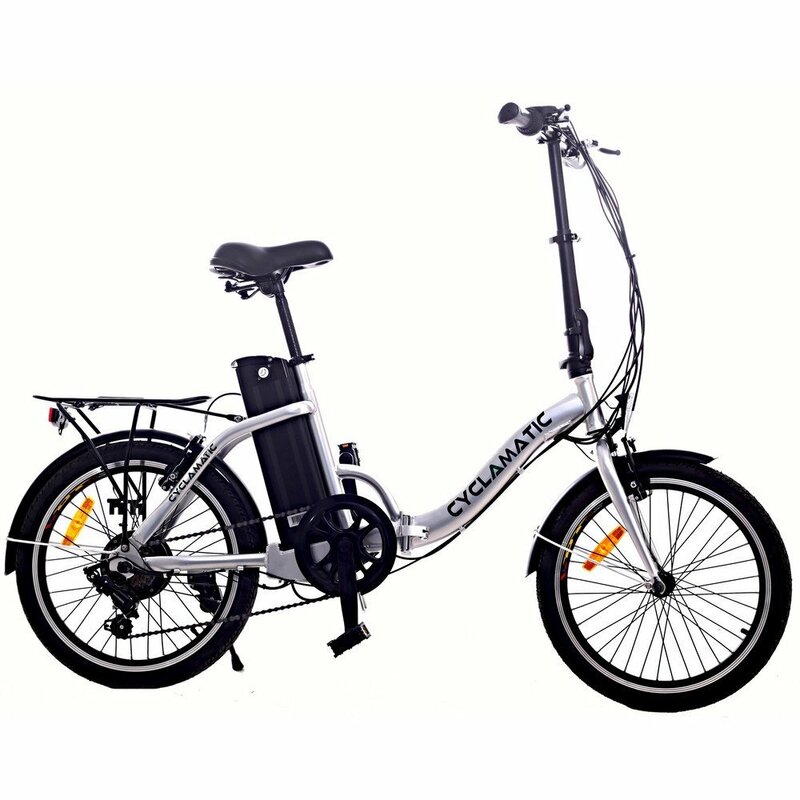 Want the convenience of an electric bike with the ability to go anywhere? 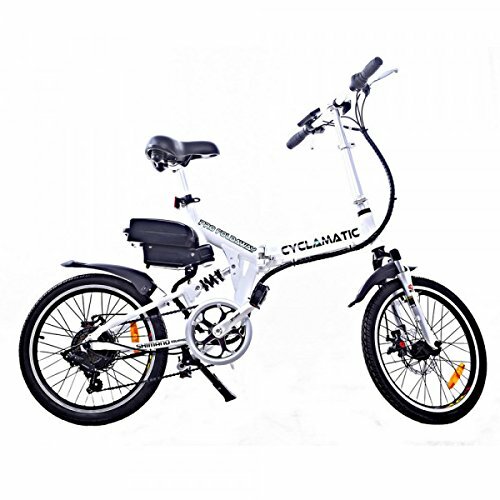 Meet the Cyclamatic Fat Tire eBike. Fat tires give you the ability to go places you would never think of taking a bike before – sand, dirt, snow, gravel – weight is spread across a wider area meaning you get more grip and are less likely to sink. 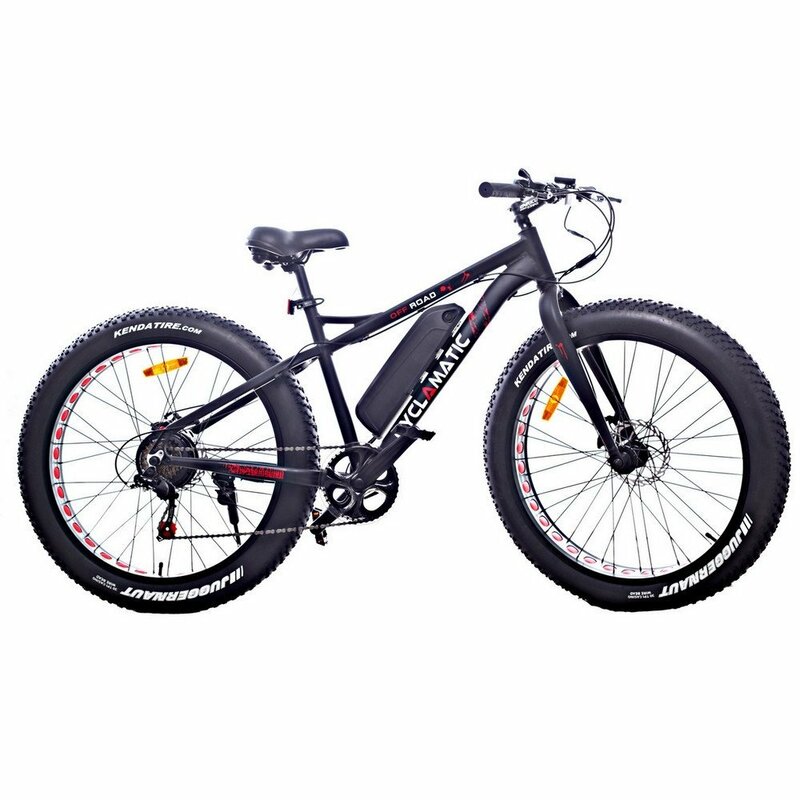 The fat tires, when at lower pressure, also provide extra cushioning and traction even on regular surfaces – this really is a go anywhere bike. 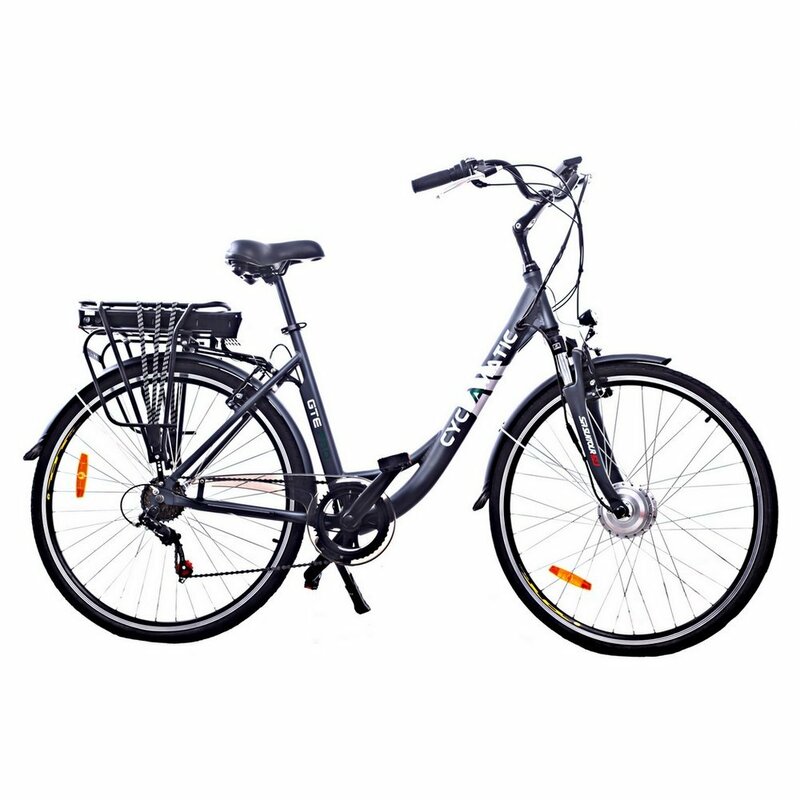 The bike can be propelled up to 30 miles with a top speed of 15mph, or increase this by using the bike in one of its 5 power assist modes.